LRE's customers are some of the best around! Here's a look at some of the cars we have had the pleasure of working on. This is one 1955 Chevy you will definetly take notice of. This stock appearing '55 isnt hiding much, with a big whole cut in the hood you can see the Quick fuel 850 carbs mounted a-top the BDS 8:71 blower. 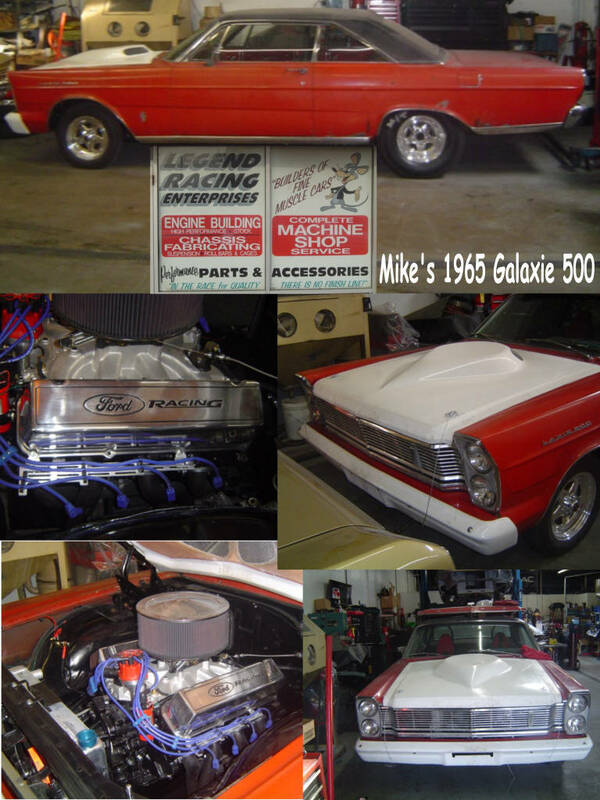 This 540 inch Rat has a set of polished edelbrock aluminum heads and a custom ground camshaft spec'd out by Doug! A Muncie 4 speed and a centerforce clutch is all it takes to get this monster rolling,and those cragars spin through 4 gears with the street radials out back. This Tuxedo Black 1966 GTO is restored from top to bottom, you might even venture to say the bottom looks just as good as the top. The deep black paint shop and the bright shiny stainless is only the tip of the iceberg for this GTO. Once you take a deeper look you see the 455 pontiac under the hood,with edelbrock aluminum heads and a hydraulic roller cam, edelbrock aluminum intake and Q-850 carb. But it doesnt stop there,complete with air conditioning this beauty is just as nice to drive as it is to look at. A BOP th-400 is backed by a Gear Vendors overdrive unit, making this thing a pleasure to drive at 75 mph down the highway even with the 4:30 gears outback inside the Moser 12 Bolt. Alston tubular upper and lower control arms and a sway bar complete the suspension out back, while up front everything is bushed with Energy suspension polyurethane bushings. The interior is simple,gorgeous black dash houses the rallye gauge pack, 3 chrome gauges above the console are just enough to finish it off. When this '69 left us it was a roller,we treated it to a 6pt roll bar, cal-tracs, and a set of Alston sub frame connectors.It finally made its way back to LRE this spring with subtle changes. A 4 inch steel cowl hood, hiding a single dominator sitting atop a 572 cubic inch tall deck RAT.All the powder coating on this engine and the silver AN fittings on the fuel system really top this thing of nicely. You'll be seeing this monster next summer on the streets!